Veteran trumpet player and composer Marcus Hampton, who is a nephew of Locksley "Slide" Hampton and a cousin of Lionel Hampton, has just released debut that features 12 of his jazz originals. 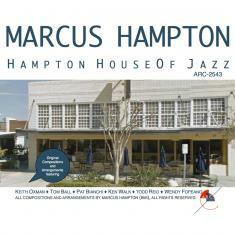 The title of his release is "Hampton House of Jazz" (ARC-2543). The title comes from the jazz club that Hampton and his family had opened and operated for a time in Florida before relocating to the Denver area. Featuring top players: Keith Oxman, Tom Ball, Pat Bianchi, Ken Walk, Todd Reid and Wendy Fopeano, the recording remains grounded in the swinging styles of Art Blakey, Freddie Hubbard and Slide Hampton. A native of Indianapolis, Indiana, Mr. Hampton is also a veteran of a full career with US military bands, performing and serving with several bands located stateside as well as overseas in Germany on two occasions. Subsequently, he has extensive notable experiences. 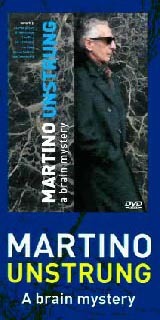 He has performed as a jazz soloist with the Hof Symphony Orchestra, with saxophonist Don Menza and at several notable jazz venues while posted in Germany alone. His last military musical position was performing with the The United States Continental Army Band. Located on historic Ft. Monroe, VA, The United States Continental Army Band is one of the Army's premiere musical ensembles. Artists Recording Collective (ARC) is an independent music label brand and 21st Century music business model that was created by professional musicians for professional musicians. It provides a platform for member projects and activities to reach a global audience. Based largely on using the Internet, digital music distribution and related technologies, Artists Recording Collective provides an alternative to the traditional recording industry and music promotion business models. ARC was founded on December 7, 2007 by Chris Burnett, Erica Lindsay, and Sumi Tonooka, all of whom are active professional musicians, producers and educators. Their collective motivation was in response to the inherent need for a professional platform for their own projects. Subsequently, Artists Recording Collective formally launched its first commercial CD recording release (Long Ago Today by jazz pianist, Sumi Tonooka with drummer, Bob Braye and bassist, Rufus Reid) in early 2008 to critical acclaim and national radio chart success.